Ron Colby made the right call when he insisted on packing his camera for a month-long golf trip to Scotland. 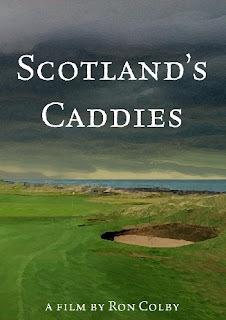 By visit's end, the acclaimed filmmaker had enough great footage of yarn-spinning caddies and breathtaking courses to make an entire documentary, called Scotland's Caddies and now available on DVD. Released by Colby's studio, Artists Confederacy, the 69-minute film can be ordered at www.scotlandscaddies.com for $19.95 plus shipping and handling. Numerous clips from the movie are available for viewing on the website. Colby, director of the award-winning documentary Pirate for the Sea, spent four weeks in 2009 shooting interviews with weathered, thick-brogued bag men at hallowed golf courses including St. Andrews, Turnberry, Prestwick, Royal Troon, Royal Aberdeen, Gleneagles, Brora and others. The finished film is by turns humorous, insightful, whimsical and poignant. 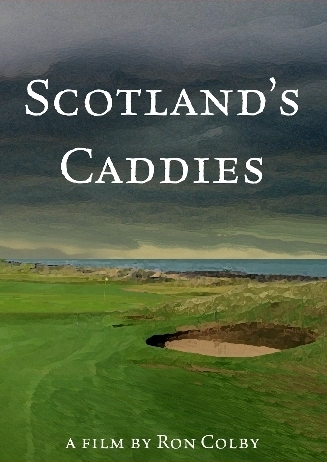 Amusing anecdotes from career caddies like Jimmy Kelly (Gleneagles) and William Cowan (Prestwick), who share some of their stories over pints in local pubs. First-person tales of celebrity golfers including Michael Jordan, Sean Connery and Jack Lemmon, as well as former Presidents Bill Clinton and George H.W. Bush. The caddies' priceless takes on the tipping habits and personalities of golfers from different parts of America and the world. History lessons from Ronnie MacAskill, Director of Golf at Royal Aberdeen, and David Joy, star of a one-man show about Old Tom Morris. Stunning visuals of golf's most beloved layouts, including the Old Course at St. Andrews, Royal Dornoch, Kingsbarns and Machrihanish Golf Club. Scotland's Caddies came about almost on a whim. When Colby's partner at Artists Confederacy, Patricia van Ryker, suggested taking a vacation, Colby set the terms: They would go to Scotland and bring the camera. Van Ryker, an avid golfer, eagerly agreed. Previous trips to golf's birthplace inspired Colby to make a documentary about the country's caddies, who have been called a dying breed. “Miraculously, filming just seemed to fall into place,” says Colby, who grew up caddying at Long Island's famed Fresh Meadow Country Club. “The caddies themselves were very forthcoming, regaling us with jokes, insights on the game, and stories about celebrities who gave them bad tips. A passionate golfer who as a boy caddied for aging legend Tommy Armour, Colby boasts a wealth of writing, producing and directing credits. He has worked with such luminaries as Francis Ford Coppola, George Lucas and John Hughes on films including The Godfather Part II, THX-1138 and Some Kind of Wonderful, and earned a coveted Peabody Award for his PBS production of Almost a Woman. 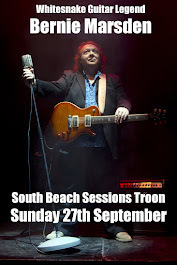 With Artists Confederacy, Colby has released two well-received documentaries, Jones Beach Boys and Pirate for the Sea. The latter film, about renegade marine activist Paul Watson, has aired regularly on Discovery Channel’s Planet Green and won “best-of” honors at film festivals in France, Australia, California, Colorado and elsewhere. The Artists Confederacy production Twenty Five Hundred & One, directed by Patricia van Ryker, recently took the Grand Prize at the San Antonio International Film Festival.